Providers and health plans will seek innovative yet proven ways to manage chronic disease. About one half of Americans suffer from at least one chronic disease, and one in four has two or more. Particularly alarming is the rising rate of heart disease. According to the American Heart Association (AHA), deaths from heart disease have increased for the first time in decades. 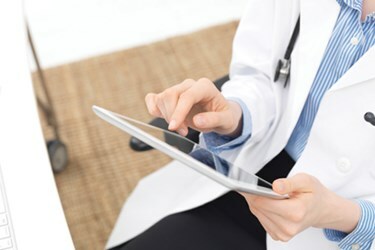 To meet this challenge, the AHA has recommended remote patient monitoring (RPM) technologies, developing the Connected Heart Health Initiative to deliver patient-centered care beyond the hospital and clinic settings. RPM offers a proven way for patients to better manage all chronic conditions. With a sophisticated RPM platform, care teams can capture daily biometric data, see and communicate with patients through video calls, access patients’ health status 24/7, and provide timely medical intervention at the first sign of trouble. Patients find RPM systems easy to use and appreciate knowing someone is watching out for them. They receive ongoing education on their conditions, take more responsibility for their well-being, and are far less likely to be admitted to the hospital. Consumers will continue to seek convenient ways to manage their health. A 2017 study finds that about 78 percent of consumers want access to virtual health services. Another study finds nearly half of patients would be more likely to follow their prescribed treatment plans if they received encouragement and coaching from their doctors between visits. The most sought-out technology solutions will be those that provide convenience, access, and choice—an instant-on, engaging, and empowering experience delivering “care everywhere.” Consumers will expect to choose the technology they use for health management, from interactive voice response to fully managed kits and bring-your-own-device solutions—whatever option best matches their level of access and technological know-how. Remote patient monitoring gets the greenlight for direct reimbursement. The Centers for Medicare and Medicaid Services have finalized the rules that will pay providers for remote monitoring in 2018. At the same time, the American Medical Association has published new codes that make it easier to bill all health insurers for remote patient monitoring. These dual developments represent a seismic shift in the RPM financial landscape—and bode well for the future of digital health.